Valencia Bay, Lot 506. Builder new construction quick delivery home with Impact glass windows. June/July occupancy. 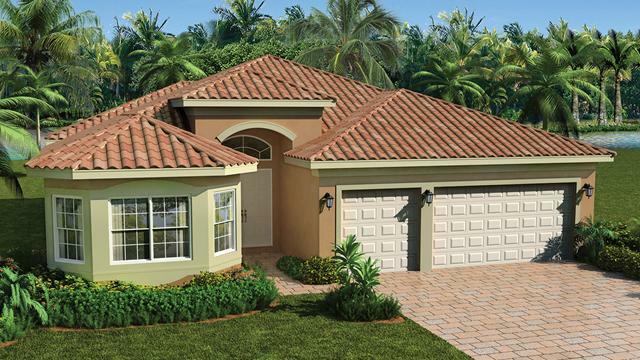 Price includes $45,000 in builder upgrades a $3,000 lot premium and a $17,500 discount promotion (included in price). Call for a full list of upgrades. Additional closing cost incentives may apply. Incentives may change at any time. Note: House photo is an artist rendering, Virtual Tour is Builder's Model Home, and 4th bedroom is a den.